The inaugural Outer Coast Summer Seminar came to an emotional close on August 4. We, the first Outer Coast students ever, wanted to give you some insight into what our lives were like during our month in Sitka and just how extraordinary this program is. Under the expert guidance of Sharon Schuman, Ishmael Hope, X̱’unei Lance Twitchell, and our wonderful Residential Teaching Assistants, Claire and Elliot, we explored texts ranging from Aristotle’s Politics to the traditional Tlingit “Raven Stories.” For this seminar, the course offered was Perspectives on Freedom, Authority and Polarization. While analyzing different texts, we returned to a few guiding questions such as: What is freedom? Why do we tell stories? And is it just to break a democratically made unjust law? For three hours each morning, we participated in discussions during class time. Discussions were largely student-led, and we, not the instructors, were in charge of calling on one another to speak. Often, we went around the room sharing passages that spoke to us, each offering our own slant on what the text meant. Our diverse backgrounds made for interesting and exciting conversations. Each afternoon, our service coordinators, James Hart and Jessica Twydell, led us in four hours of service. In our first week, we spent our days helping maintain the Indian River Trail. 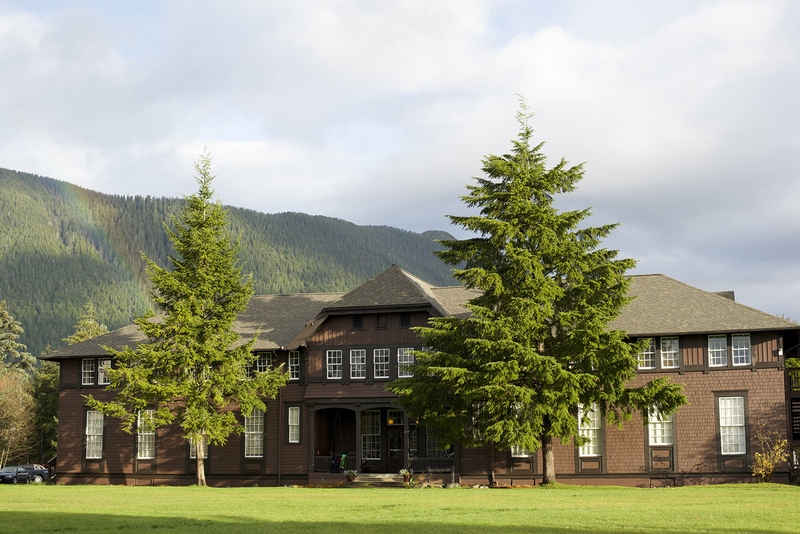 For the second and third weeks, we painted a building and helped shingle a shed on the Sitka Fine Arts Camp’s historic Sheldon Jackson campus. In our last week, we worked on restoring a boardwalk at the Alaska Raptor Center. Fridays were special services which we brainstormed and decided on during our student body meetings. These Fridays were spent at the Sitka Maritime Heritage Society, baking pies for the Sitka Pioneer Home, and helping out at the local women’s shelter. Working alongside each other during service brought us closer to one another and to the community. We often collaborated during the projects, and it helped us to get to know each other better. We were also met with much appreciation from the community, which was a gratifying reminder of the value of service work. We met for student body meetings every Friday night. In our first meeting, we faced our most challenging decision: how to run our governance. We struggled for about half an hour to decide on a voting system. Eventually, we settled on a system of default majority voting, a randomly selected moderator, and a loose adherence to Robert’s Rules of Order. After the first meeting, governance was much easier. We often made decisions on things like Friday service projects and Community Hour speakers. In the last two weeks, we chose to meet on Wednesdays before class as well in order to follow up on decisions made in our Friday meetings. Though occasionally a bit tense, these student body meetings were vital to our Outer Coast experience. They taught us to take responsibility and respect others’ differing opinions. When we were not participating in one of the three pillars, we kept busy. On Monday and Wednesday nights, we attended Community Hour, where we listened to speakers including tribal lawyer John Sledd, and Gil Truitt, a member of the first graduating class of Sitka’s Mt. Edgecumbe High School in 1948. On Sundays, students gave speeches to the Outer Coast community in our hour of Public Speaking. In our remaining free time, we played several Outer Coast community ultimate frisbee games, went slacklining, jumped off a rope swing, went swimming, and explored the town. The Summer Seminar truly was an amazing experience. Thank you so much for supporting Outer Coast and making this possible. We hope you continue to keep up with the program as it grows and develops in the future.